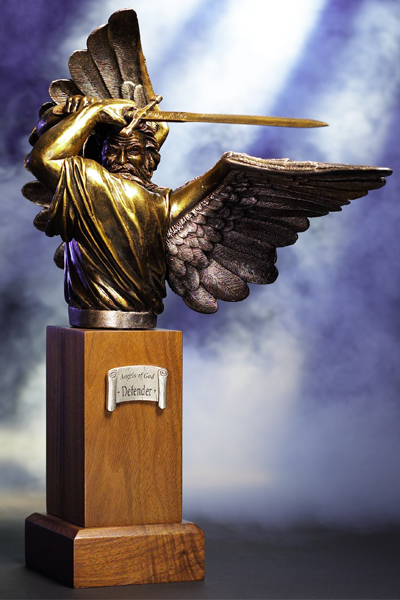 Defender by Mark Patrick is a Christian Art Sculpture that would accentuate the beauty of any church, office or home décor setting. It is part of the Angels of God Series. It measures 18" H x 10" W x 9" D and comes mounted on a custom walnut pedestal. A personalized nameplate can be added to the walnut base for an additional $10.00 for 3 lines or $15.00 for over 3 lines.